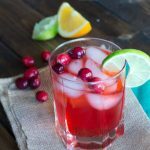 Pomegranate Vodka Gimlet – a classic vodka gimlet with a little pomegranate juice and pomegranate seeds for a fun and festive twist! Do you have a cocktail you order every time you go out? I don’t. 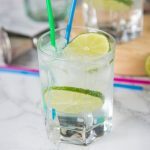 I will often order a glass of wine or a beer if they have one I like on special, but I have never been a fancy cocktail sort of girl. 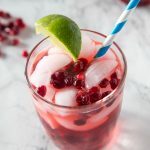 If I am out with friends I am all about a margarita (this Pomegranate Margarita would be super fun this weekend). Years ago a friend and I were at a bar and the bar tender made us a French Martini. We loved it, and tried many times to recreate what he made at home, but it was never perfect. I have ordered a French martini out 2 times in the past year. I had kind of forgotten about them until I saw it on the menu one night. My dad on the other hand has a go to drink every time he orders one at a restaurant. A vodka gimlet. 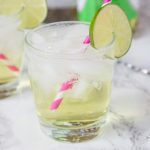 Just a classic tart lime flavored vodka gimlet. 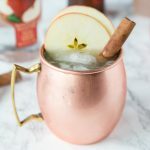 I put together a fun round up of a holiday cocktail recipes, if you are looking for more ideas. Every Saturday night my parents each have a vodka gimlet at home these days. My mom likes hers with more sweetened lime juice so it isn’t as tart. I have to agree with her, I like mine a little on the sweeter side. Which is probably why I like a Vodka Cranberry so much! So I decided to put my own holiday twist on the vodka gimlet and make a Pomegranate Vodka Gimlet. So what is a vodka gimlet. It really just has 2 ingredients. Vodka and sweetened lime juice. Mix and pour over ice! Can’t get much easier than that. 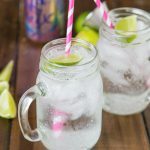 Similar to a Vodka soda, but without the fizziness. 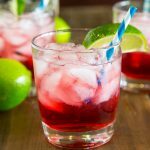 I did a little research to find out that grenadine used to be made with pomegranate juice. These days it seems the cost is too high, so it isn’t used any more, at least in the Rose’s brand. There is a brand in Europe that still uses pomegranate juice to make theirs. 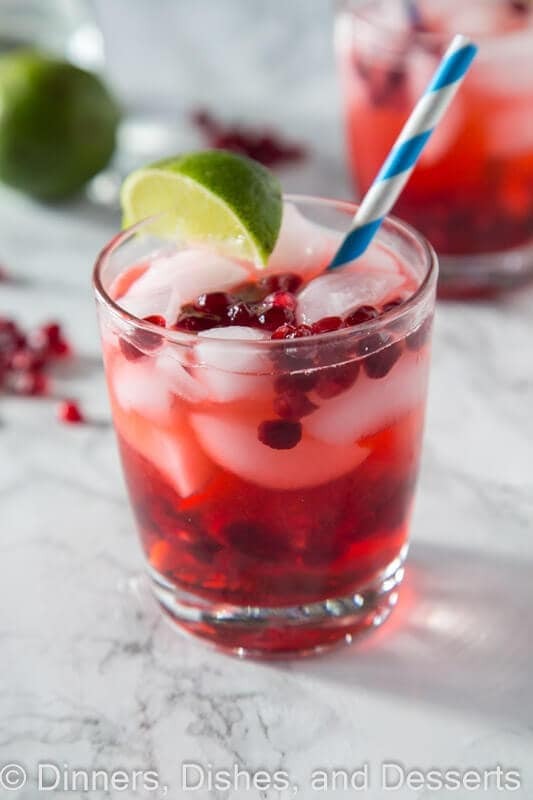 So you have 2 options with this drink – use the roses’s grenadine syrup or use real pomegranate juice with a little simple syrup to sweetened it up. If you have grenadine on hand, you can use that and you will not notice a difference. It is already sweetened, so you can skip the simple syrup step, unless you really like it sweet, then you can adjust that to taste. 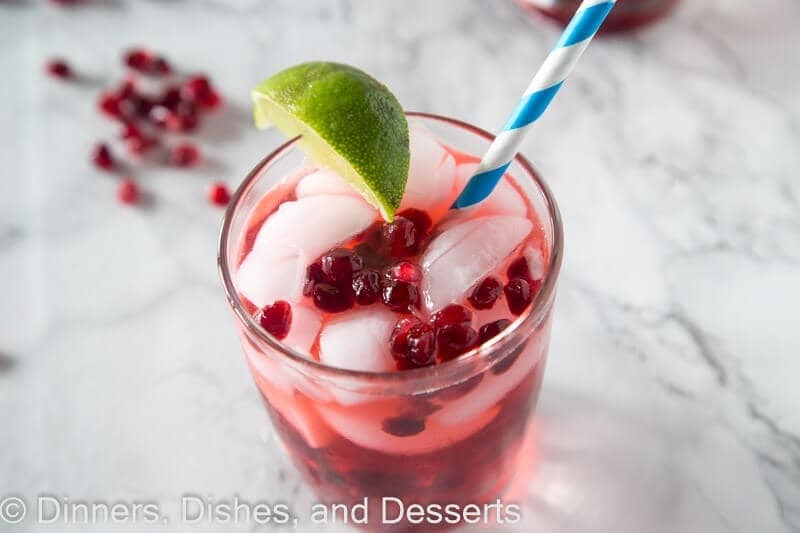 The pomegranate seeds are purely optional and just make it festive. 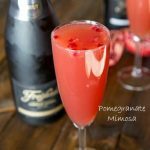 You can find pomegranates at any grocery store this time of year, so I picked one up to add to this drink. But if you don’t have one, leave it out! 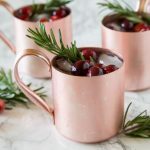 This pomegranate vodka gimlet is sure to had a fun and festive twist to your holiday cocktails this year. Now to see if I can get my dad on board. Now you know how to make a vodka gimlet and can play with the flavors to see what your favorite is. 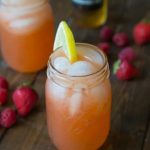 Super easy, refreshing, and great for sipping on with just about anything. 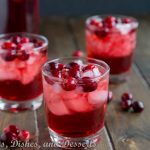 Pomegranate Vodka Gimlet - a classic vodka gimlet with a little pomegranate juice and pomegranate seeds for a fun and festive twist! 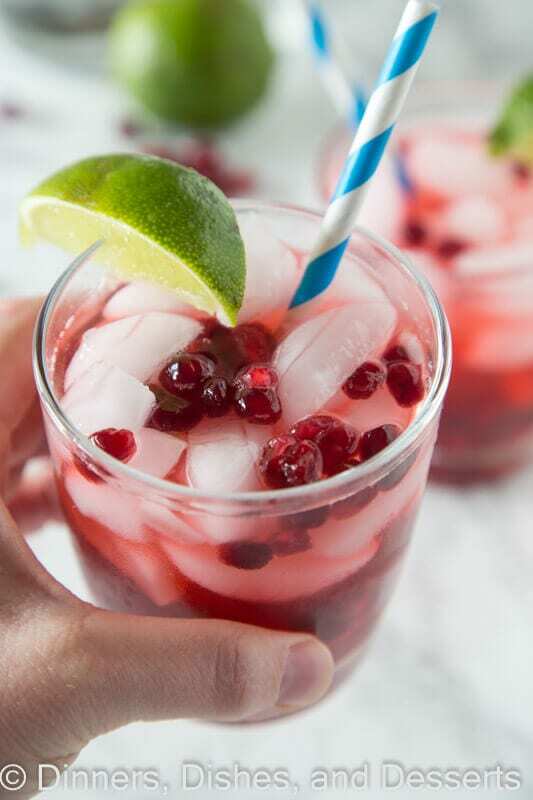 Add vodka, pomegranate juice and lime. Mix. Add simple syrup to taste. 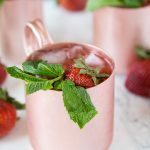 This is a drink I could sip on! This looks so good! Great way to celebrate the weekend! I think I have everything I need to mix this up! 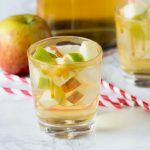 Can’t wait to try this combo – I love a good cocktail!